The RAF Cosford Air Show 2016, taking place on Sunday 19th June falls on Father’s Day, giving families everywhere the perfect way to spend the day. 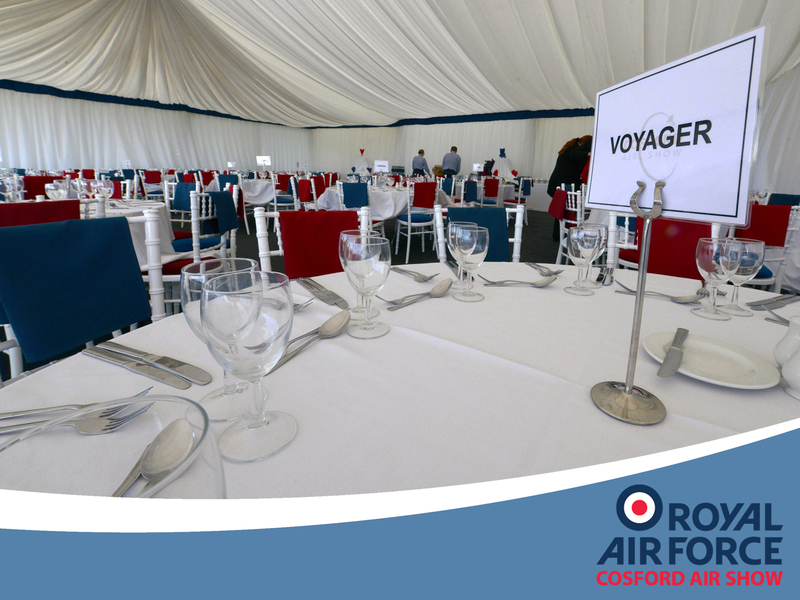 With a range of hospitality options available for all budgets the RAF Cosford Air Show is set to be an entertaining day for all. The Frank Whittle Enclosure includes unbeatable views of the flying display from a dedicated and personal crowd line enclosure. Including your entry ticket, VIP parking, guaranteed seating along with a buffet lunch and afternoon tea the Whittle Enclosure is the perfect gift for Dads everywhere! Highlights of the flying display already confirmed include eternal favourites such as the RAF Red Arrows, inspiring historic aircraft including Spitfires, Hurricanes and Mustangs, thrilling jets such as the Sea Vixen, MiG-15 and Eurofighter Typhoon and an assortment of helicopter displays including the display debut of The Gazelle Squadron. On the ground there’s plenty to see and do for the whole family; including four hangars full of exciting exhibitions from the UK armed forces and wider aerospace industry, the Vintage Village, static aircraft displays and of course funfair! General Admission tickets for the RAF Cosford Air Show are available to purchase from selected Mid Counties Coops, the RAF Museum at RAF Cosford and Hendon, Midlands Air Museum in Coventry and on our website www.cosfordairshow.co.uk. Tickets are £25.00 per adult with accompanied children under 16 entering free.